This is the Western Robotics Spectrum Audible Buzzer. 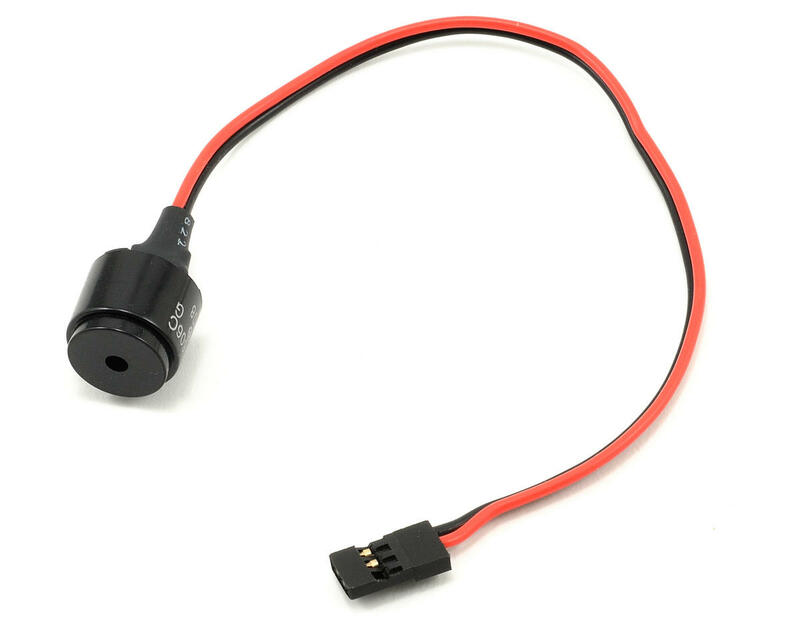 This Spectrum Buzzer is specifically designed for Western Robotics’ Spectrum LiPo Battery Monitors and the Hercules Linear Battery Eliminator Circuit. 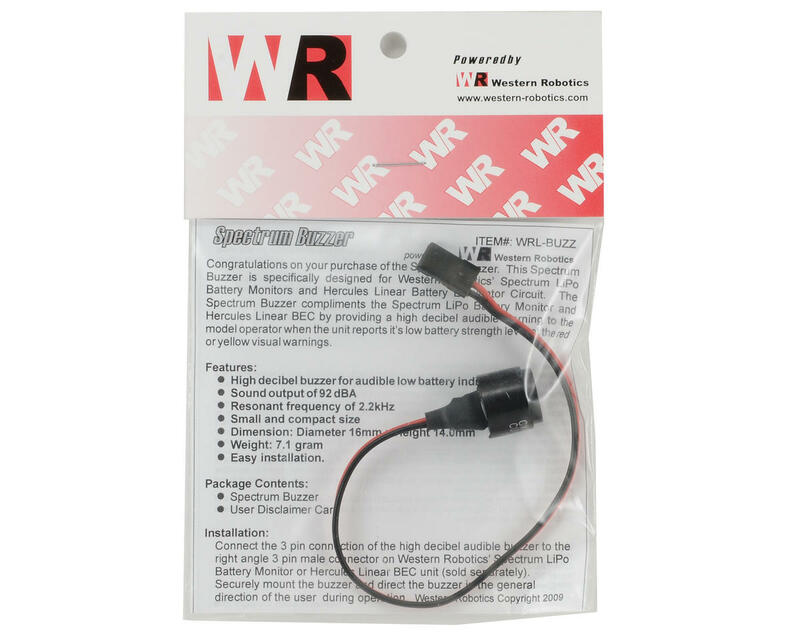 The Spectrum Buzzer compliments the Spectrum LiPo Battery Monitor and Hercules Linear by providing a high decibel audible warning to the model operator when the unit reports it’s low battery strength level at the red or yellow visual warnings.